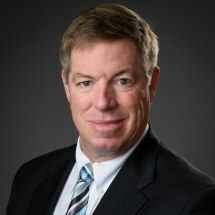 Thomas J. Burger is a Partner with Wood, Herron & Evans and is involved in all phases of the firm's IP practice. Admitted to the Ohio bar in 1986, Thomas is registered to practice before the U.S. Patent and Trademark Office. He specializes in representing both U.S. and non-U.S. clients, primarily in acquisition, enforcement and defense of patent and trademark rights. Prior to joining Wood, Herron & Evans in 1986, Thomas received a Bachelor of Science degree in Electrical Engineering from the University of Notre Dame in 1982 and a Juris Doctor degree from the University of Notre Dame Law School in 1986. Tom and his wife Susan have four children.